We had just finished a wonderfully grueling hike in the Tiskita Jungle, located along pristine coastline in the southwest corner of Costa Rica within a 300-acre private biological reserve. We sat under an almond tree to shade ourselves from the hot sun and rest our well-earned, aching muscles. Suddenly the leaves rustled on a nearby tree. We all jumped up, including our expedition leader Jimmy, who was at the ready with his sturdy telescope to see if we could determine the cause of the swishing. As we looked closer, we realized there was a troop of black-crowned Central American squirrel monkeys (also known as red-backed squirrel monkeys) at the base of the trail near the lodge, swinging from branch to branch. To our unexpected delight, several were carrying babies, ensuing shrieks of joy from our group. And one of the females was pregnant. Jimmy had never seen a pregnant squirrel monkey before. I couldn’t stop myself from watching Jimmy’s eyes fill with wonderment, just like the rest of us, at seeing this beautiful, rare site. 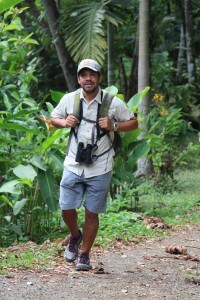 Even though Jimmy has been a naturalist guide in Costa Rica for over twenty years, he acted like he was viewing everything we encountered for the first time as well. His excitement at catching a glimpse of everything, from mangroves to vultures to sloths was contagious and never faltered. Costa Rica is considered a conservation success story in many ways. Organizations, such as WWF, helped play a role in the early days of its sustainable development. 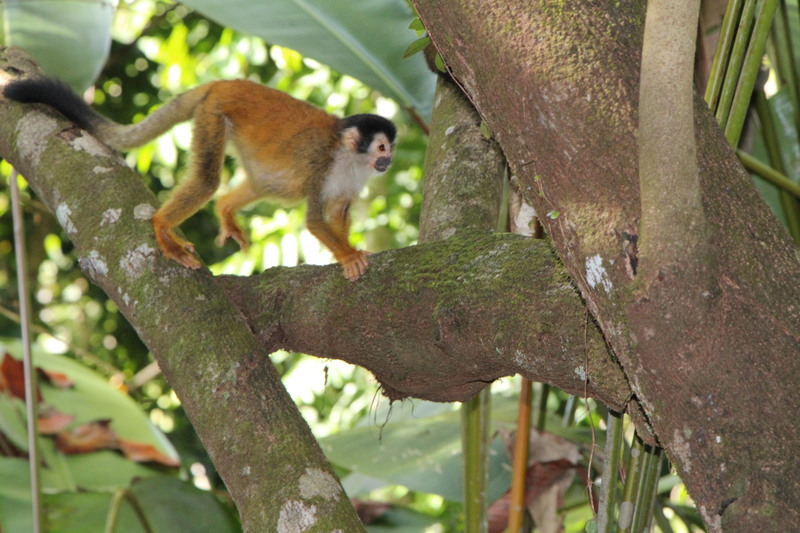 In 1975, WWF helped created Corcovado National Park, an area described as “the most biologically intense place on Earth.” Though we were surrounded by pristine habitat, the population of black-crowned Central American squirrel monkey we saw, is currently threatened by habitat loss due to intensive agriculture development and logging. Its species is considered vulnerable by the International Union for the Conservation of Nature (IUCN). Jimmy gave me hope. His enthusiasm and passion never waned – he was generous, kind and truly cared for the environment and the people he was guiding. He was the reason our Costa Rican adventure was so successful. His passion taught me that we must see nature with fresh eyes and fresh ideas, because there is always more work to be done. To Jimmy, this work was a way of life. And in a country whose motto–pura vida–literally translates to pure life, he embodied just that – pure, vibrant, exciting life.